Are you all getting ready for a true change of season? Cooler nights and shorter days are just the tip of the iceberg… change is a-comin’! October on the farm means the growing season starts to “wind down” but hasn’t actually wound down if you know what I mean (especially with all this summer like weather we’ve been having as of late). Our garlic seed goes in on Friday so it looks like the 2015 year is about to start sooner than we think (always thinking months and months ahead)! Thanks to that burst of rain last week our grass is turning green again and everything feels a touch more settled. With proposed rains coming back at the end of the week it will begin to feel more and more like Fall yet and we’re loving every second it. Lush greens are happy and growing on the farm. 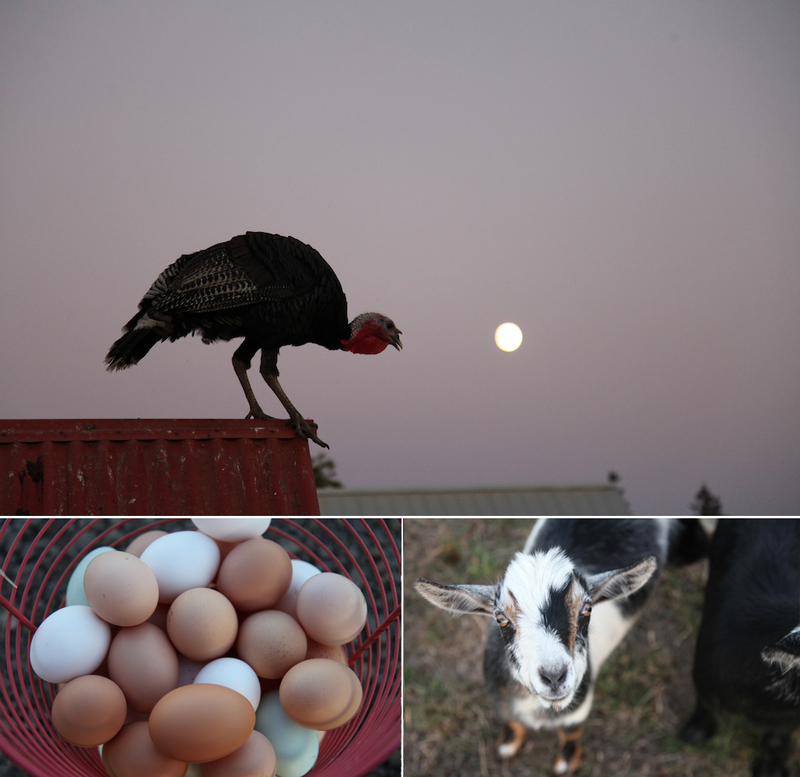 The whole farm took a deep sigh of relief with the rains..
And can you believe there are only 7 more weeks left in the CSA season (the last share being a double share of storage goodies the week before Thanksgiving…) What a season it’s been! We’re having so much fun growing a bounty of food this season… we’ve got pages of notes and cataloged information in our heads about our favorite varieties (what grew best and what didn’t), row spacing and farm layout, cultivation equipment and bed prep, fertilization and compost, pasture rotations and seed starting… we can’t wait to sit down in December and January and hash out some really groovy stuff that we’ve learned this year. As any seasoned member will tell you… each year we grow better as farmers (and they do too as members!) Both farmers and members alike! We all love our veggies (and all the other goodies we grow too – farm fresh and seasonal beets all the rest)! It’s such an inspiration to grow, live, and eat better together. The cooler weather and change of season means a change in the weekly rotation of veggies. Those hot weather crops get fazed out with the hardier crops of fall – broccoli, cauliflower, potatoes, Brussels, cabbage, greens, carrots, beets, winter squash… you name it. It also means seeing more Fall bugs – like pesky aphids – that thrive in the damp, cooler weather. We’ve had far less aphids this season than any other (thanks to all the dry weather) but we still expect to see more of them as the Fall season goes on. We do our best to clean up and pay attention but encourage you not to fear but a mere cluster of aphids (they particularly love the underside of brassicas – kale, collards, broccoli etc)! Once you get the produce home and get ready to clean and store it in all in the fridge, use those opposable thumbs down the length of the stem – with running water from the tap – and that seems to do the trick! After 21 weeks you got this.. you guys are pros and care about the food that you eat and the sign of a few little buggers being there is important and shows you what’s not on it! 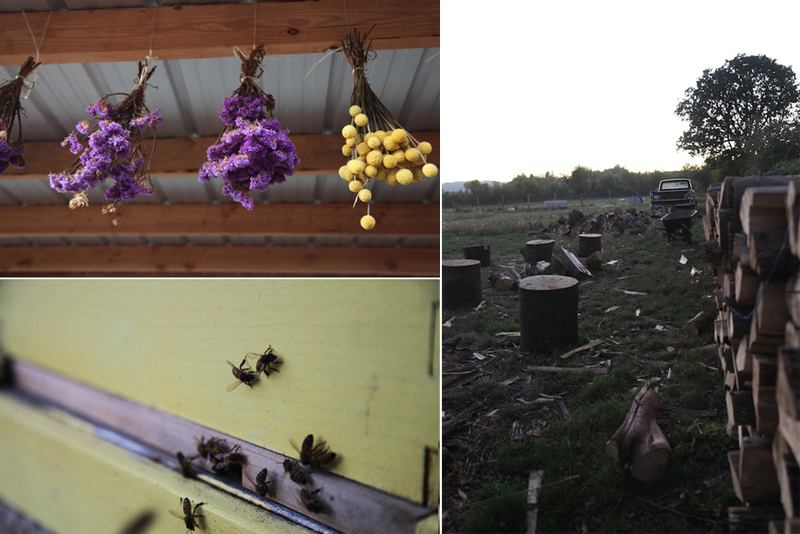 A few of our hives were robbed over the weekend but things seem to have quieted down since then. Everyday is a learning experience and although it hurts, if you pay attention to it, you learn from it. 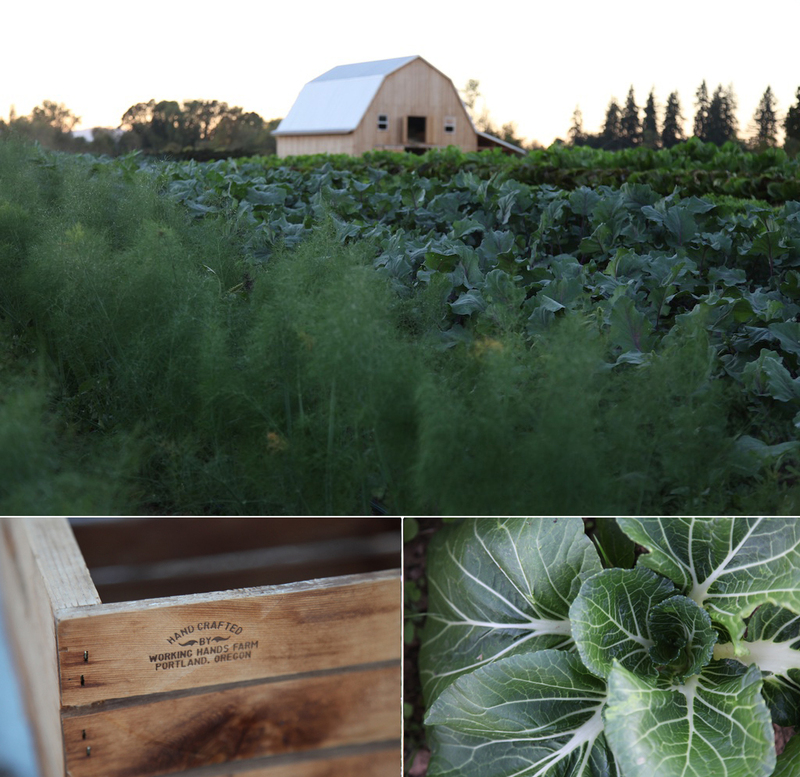 Later this month we’ll have our first frost… and just you wait to taste those root crops and hardy greens when it does. The frost sweetens all those crops in the garden – producing sugar is a plants way of protecting itself from the extreme weather and we get the benefit of extra sweet carrots, kale, broccoli, beets etc. Embrace the seasons of change in the garden and on your plate and get excited to explore a whole new way of cooking – for Fall! Bring it on! The cooler weather also means more opportunities for getting immersed in the kitchen and utilizing all the rich, deep goodness of our root crops, brassicas, and hardy greens in soups and roasting and baking etc. It’s such a wonderful time to nestle in and experiment! The days are getting shorter (that’s for sure!) which means taking more opportunities for creating in the kitchen. After 20 weeks as a 2014 CSA member you have been through our Spring, Summer and now Fall bounty. Your confidence and skills in the kitchen are growing and you are feeding yourself and your household unbelievably well. It’s impressive and inspiring to us, your farmers, as we put many dedicated hours into the dirt and you all put in the dedicated hours at home to create beautiful nourishing meals at your own table. Curing winter squash, the pasture returns and amazingly rich celery – perfect for soups and roasts! We look forward to seeing you all soon and hearing all about your latest recipe successes! Enjoy the week and see you soon!